Turn Facebook connections into customers. Integrate your Facebook account to Zoho ContactManager, and connect with your customers, fans, and followers on the world's largest social media network. Find new contacts for your business, add them to your lists, share interesting content with your followers, and create the right audience for your business. Connect with the people who matter. 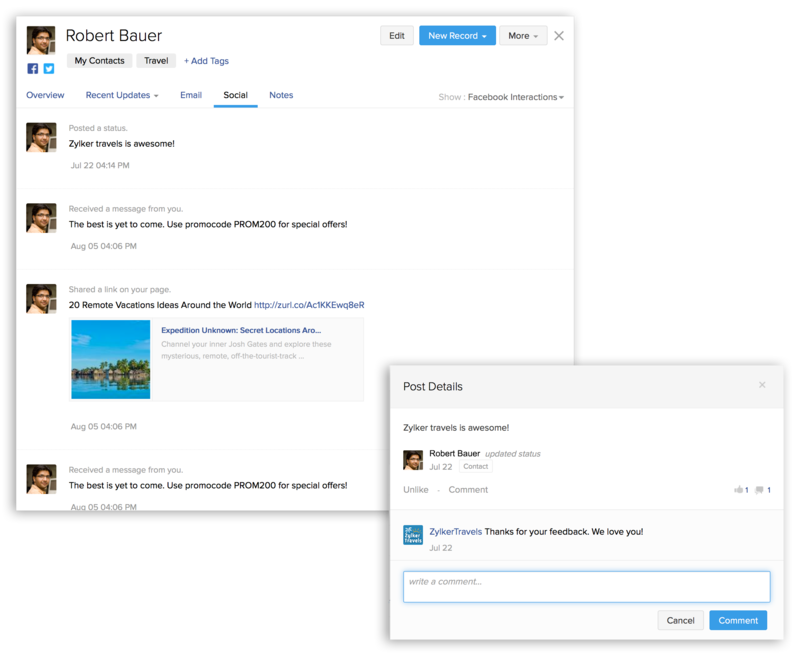 Keep your company's Facebook page bustling with new activity by engaging with your Facebook audience in real time from ContactManager: Respond to their comments, like their posts, and share what they're saying. Or, if you prefer more personal engagement, message them directly to talk with them one-on-one. 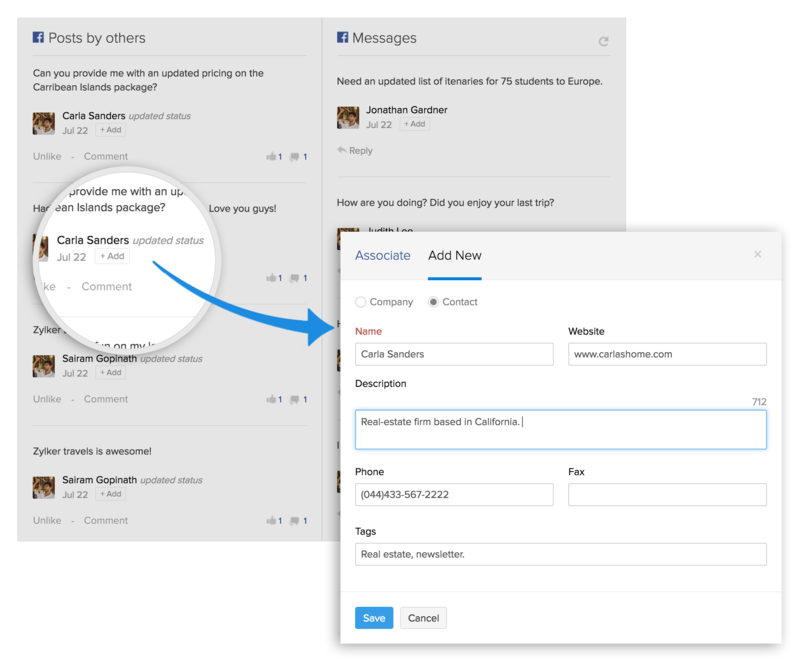 If your favorite prospect showed interest in your company, say by liking your post or page, add them as a contact in ContactManager. In ContactManager, every contact has an associated Social Tab which gives you regular updates about the social media activity of your contacts, such as - links shared to your page, messages sent or received, and statuses posted. This allows you to be proactive in engaging with your favorite contacts when they show interest in your company. Creating a new contact? As you enter their details, Zoho ContactManager automatically searches Facebook for similar profiles, so you can select the right one, and map it to the contact.